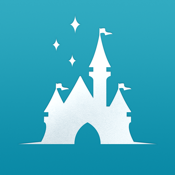 Magic Passport is your companion when visiting the Disneyland Resort in Anaheim, California. Inside is a list of all rides, attractions, shows, snacks, and food in the parks. Use it to keep track of everything you’ve done during your stay and as a checklist of everything the parks offer. Whether you’re keeping a tally of how many times you’ve ridden California Screamin' or checking where the nearest snack is, Magic Passport will help you get the most out of your trip.